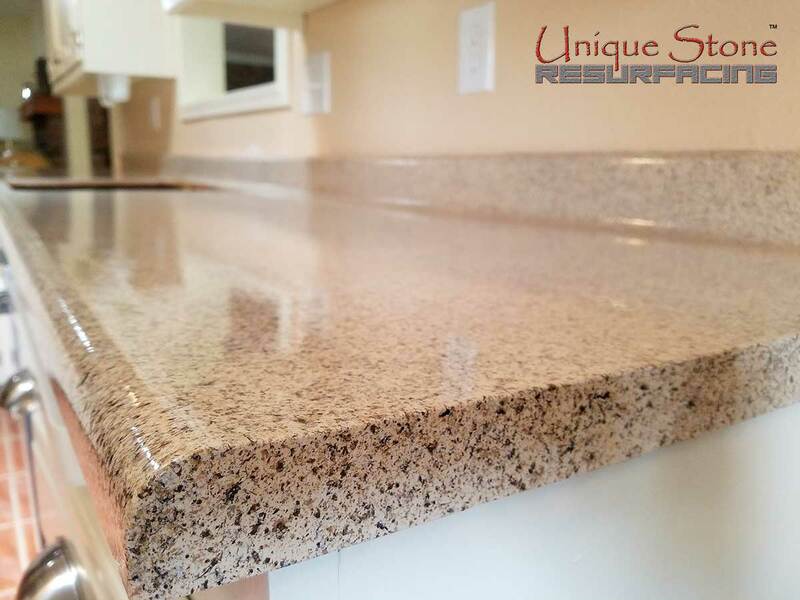 Ordinary formica countertops made extraordinary with Unique Stone Glass Finish in Kongo. 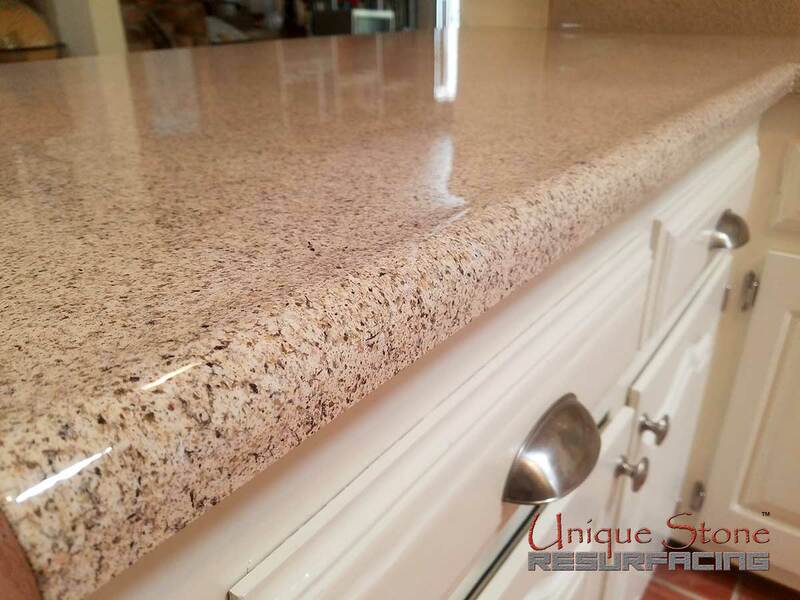 In one short day these counters got a new lease on life, without breaking the bank or causing a disastrous mess. 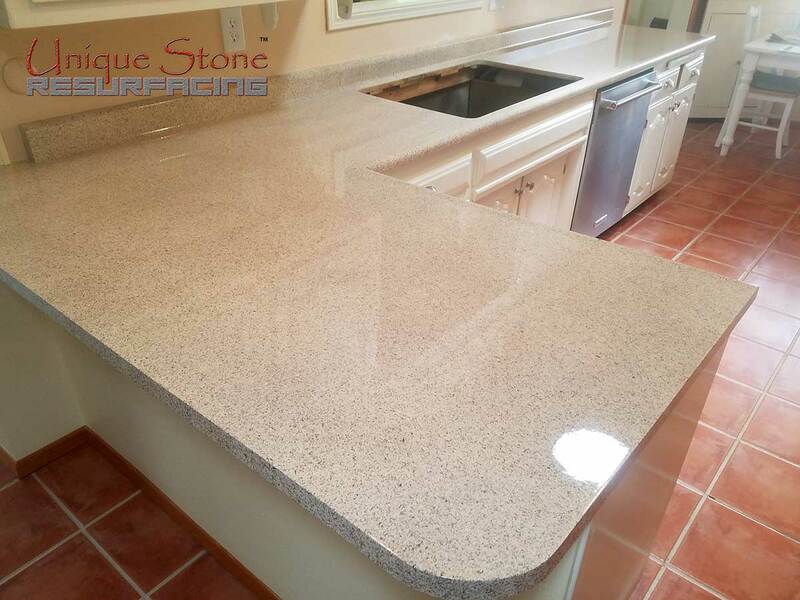 Where there once was a miter cut between the adjoining pieces of formica is now a seamless repair, making the counter one, eliminating the unsightly yet inevitable line created by the initial install of formica. 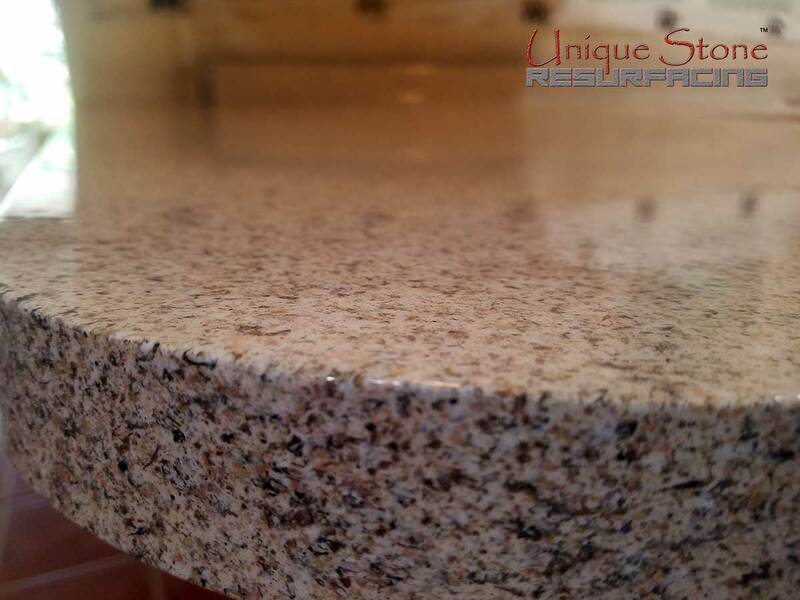 With each layer of our Unique Stone epoxy complex you get durability and color consistency through and through. 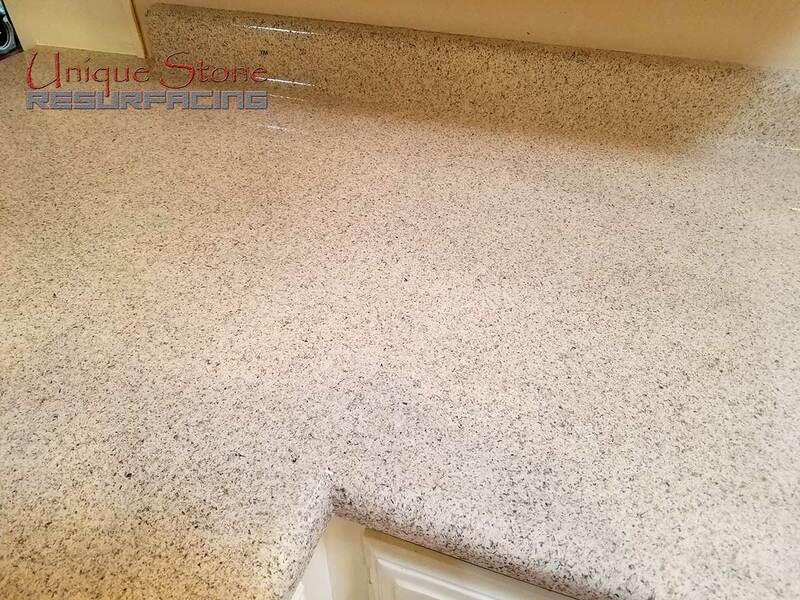 Our Unique Stone Resurfacing™ service is a special process that can be used on a variety of surfaces which includes bathtubs, countertops, showers, fireplaces, and many more. 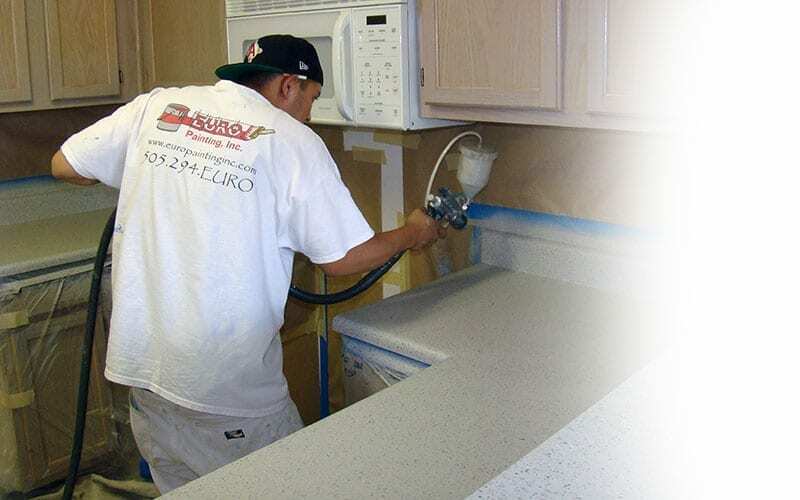 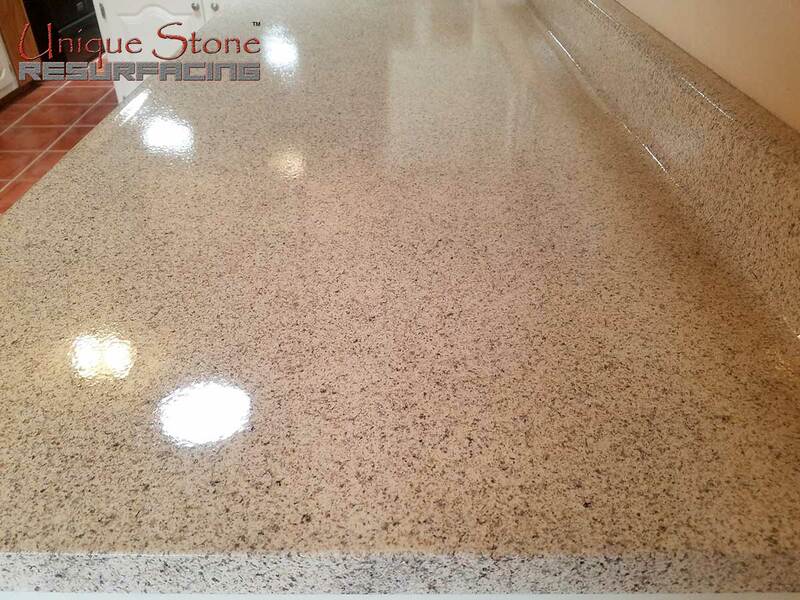 Our process is the best in the entire industry and provides a beautiful and durable finish.